On a fateful day the sky above Ciel village is ripped apart and Jude, the only child in the village, discovers that he can wield the forbidden ARMs. Due to this, his village is destroyed and Jude sets out on a journey to find out the truth behind the ARMs, learn more about himself and face adulthood head on. I’ve always felt that the Wild ARMs series have been blessed with good plot lines and WA4 is no exception. My favorite game of the series is Wild ARMs 3, but as soon as the opening sequence and intro song played, I knew that WA4 would make me change my mind. There are some new features to WA4. One is; instead of switching between characters and their tools, you’re doing everything with Jude, solving puzzles using tools found in the area he’s in. Although such a great fan of WA3, I must say that this system works much more to the game’s advantage, making puzzles slightly easier to solve. 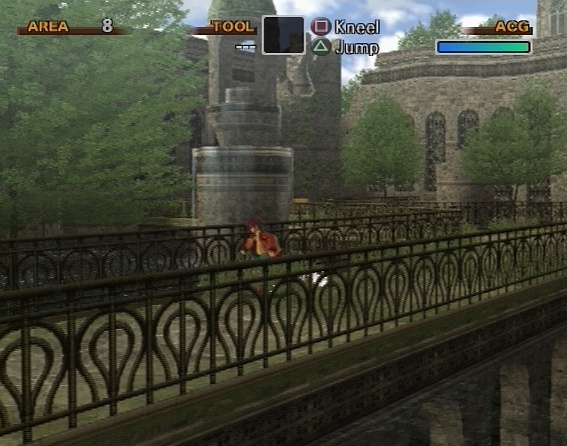 I remember a tricky part in WA3 where you had to knock down a bridge in order to advance any further. I tried every tool I had only to find that you were supposed to dash into the darn bridge to make it fall down. Well, to my relief, the dash function, making your character rush straight ahead until he/she hits something, has been eliminated for WA4. Jude, as the spunky 13 year-old that he is, wearing a way too large jacket, runs around at a moderate pace. This works much better; the controlled running adds a different flow to the game. Not to mention the ability to jump, double jump, slide etc. 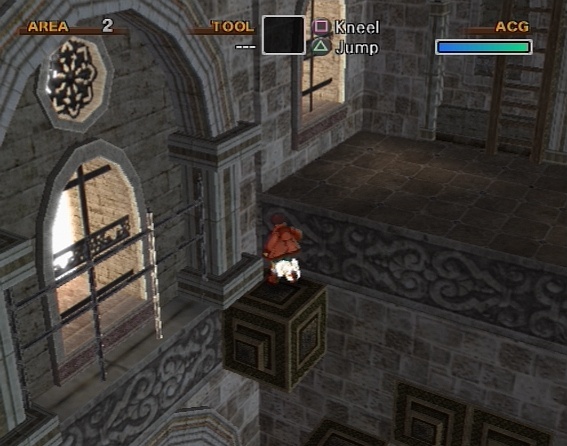 In WA3 jumping was only done while standing on a ledge. This new freedom of Wild ARMs really makes you feel the way Jude is; out on adventure, pressing on towards the future, not slowly walking through a cave. WA4 is almost like a new game genre; platform-RPG. This is particularly noticeable when the camera switches from a fixed 3D view to side view, whilst Jude takes on different obstacle courses. 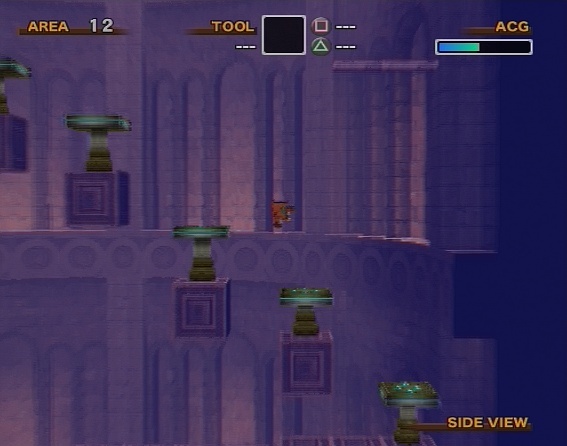 Some people will probably miss the full 3D camera from WA3 and Alter Code: F, enabling you to see all the corners of a dungeon. I personally adjusted to the new system really fast and I don’t miss the old one bit cause in WA4 it’s done in an almost flawless way. The camera follows you like it should and any gamer should be glad not having to alter the camera angle all the time. 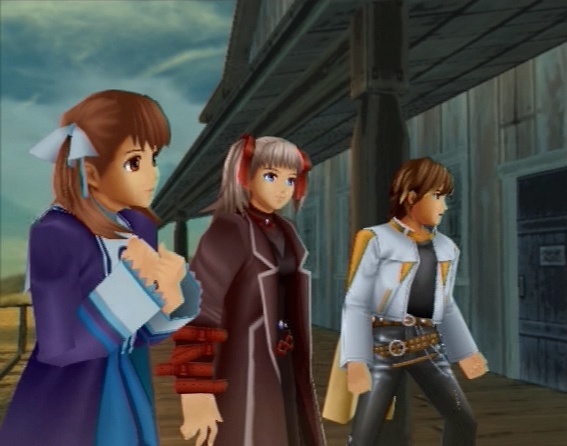 It’s basically the same camera system that we’ve seen in Final Fantasy X, Tales of Symphonia and Radiata Stories. Wild ARMs’ world has also seen some changes in this new installment. 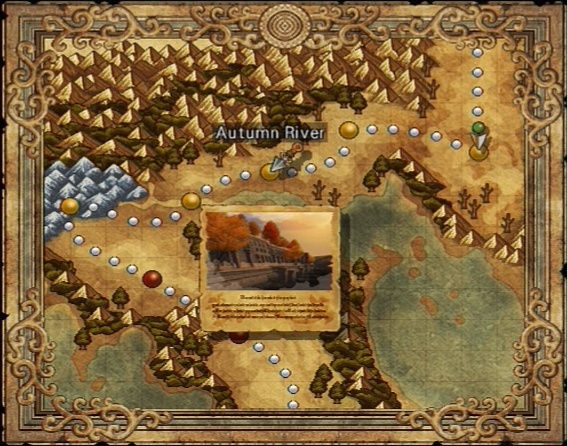 The world map as you know it has been reduced to a charmingly drawn map with dots indicating trails, towns and dungeons, much like Legend of Dragoon and FFX. But I feel “dungeon” is not a suitable word for what WA4 offers, because the places you come to are all so different. At one point you’re crossing a giant stairway that reminds you of the Great Wall of China, in the next breath you’re in caves similar to the caves of Moria (LotR), you’ll find yourself in a deserted, ghostly town as if taken from Silent Hill while other sceneries are so sterile it’s like Xenosaga all over again. The graphics I must say are really good. Nothing extraordinary per say, but it’s easy on the eyes and each new location brings something fresh and exciting. The game designers of WA4 have truly done a fantastic job with the game’s variety. It never becomes boring. On the first day I played for 7 hours, the next day 9 hours and so on, and I literally had to force myself to stop playing because it was 3 AM in the morning. This is beyond doubt one addictive game. Only downside is the fact that the game is over pretty quickly. It took me between 25 and 30 hours to complete. Because of the new world map, Filgaia feels rather small too, partly because there aren’t that many towns this time around. 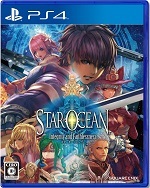 Comparing this to WA3 that had tons of secrets and so many different places to discover, plus different means of transportation, WA4 seems to fall a bit short, but considering the story being told and all the fun you have as you play, I say it’s nothing to be bothered with. 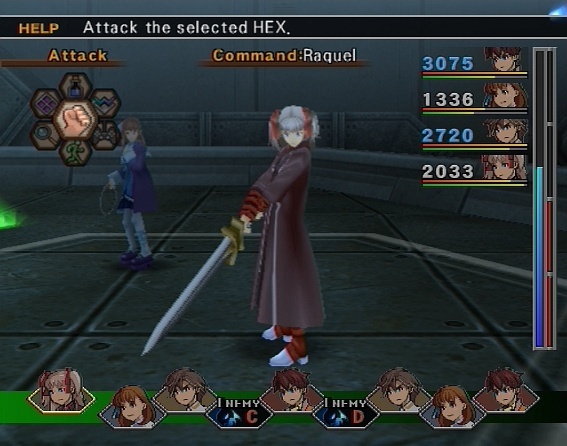 What also makes WA4 shine is the innovative battle system, which introduces a hex system, but has kept most of the original WA components intact. 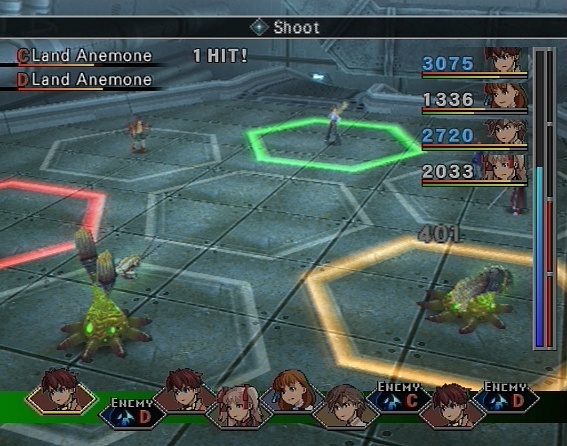 All in all, skills etc are more easily learned and managed in WA4 and battles are over much faster than in WA3. One can wonder why you’re not able to move a character from one hex to another and attack directly afterwards, as in an SRPG, but I wonder if that could’ve made the battles too simple. It’s hard not to have the upper hand of WA4, especially if you use the skills in the right way. During fights, both enemies and characters utter little catch phrases. 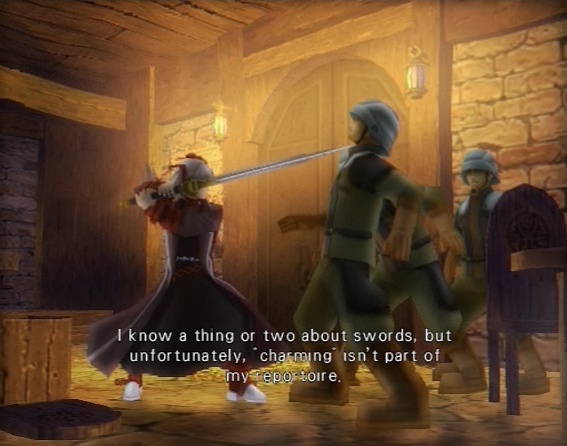 (My favorite one is Arnaud saying; “I’m pretty confident in everything from the neck up!”) The enemies sound a little silly from time to time, but that’s alright. Characters on the other hand – wow, XSEED has done a great job on the voice acting, really! The only one that annoyed me a little was Yulie. I have issues with naïve girls who always apologize for everything. But, there is less voice acting than I was expecting, people mostly talk during cut scenes, but not all of them. I wouldn’t have minded hearing more. 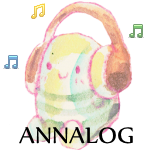 The sound throughout WA4 is actually excellent; sound effects, voices and not to mention the music. Wild ARMs’ original composer, Michiko Naruke has created an excellent score, together with Masato Kouda, Nobuyuki Shimizu and Ryuta Suzuki. I can’t wait to get my hands on this soundtrack. There is such mind-blowing spirit in their music, maybe a little less western this time, but still, this is what WA should sound like, always. After I finished the game, I felt a huge emptiness. It’s always hard for me to say goodbye to games that I wholeheartedly love and enjoy every single minute of. Wild ARMs 4 is a beautiful game and I think that anyone who likes this series will fall for this game too, so do enjoy it while it lasts. This awesome gaming experience was not only a great way to celebrate the WA series 10th anniversary, but a perfect start to this year.